8 killed as a truck plows into pedestrians in downtown NYC terror attack.A federal grand jury in Washington on Friday approved the first charges in the investigation led by special counsel Robert Mueller into alleged Russian meddling in the 2016 US presidential election. NFL Houston Texan owner Robert McNair is apologizing for saying that the NFL “can’t have the inmates running the prison” in response to the ongoing protests during the national anthem. Insensitive and disrespectful comments right out of 45’s handbook. Instead of taking a knee how about the inmates sit out the next game? Did you hear about the poll that revealed that 55% of White Americans feel discrimination against Whites exists in the US today? 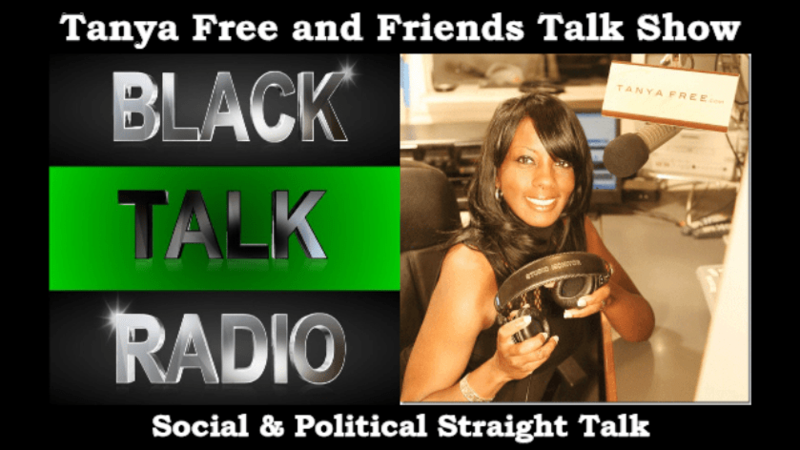 The Tanya Free and Friends Talk Show is heard on WQCN “THE CHOICE” 105.3FM in Richmond, Virginia, WMXP 95.5 FM in Greenville ,SC, AMFM 247 Network Nationwide, The New Orleans Talk Network and May We Help You Radio Network. streaming LIVE on Tunein.com, Black Talk Radio Network, and TanyaFree.com @ 2 pm ET/1C. Watch us LIVE on The Tanya Free and Friends Webcam @ ustreamtv, TanyaFree.com, FACEBOOK, INSTAGRAM, and TWITTER. Check out the Listen page on TanyaFree.com for times and schedules for repeat broadcasts.